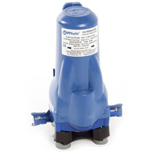 Watermaster IC Pump Controller Intelligently Controls the submersible pump so you never have to adjust your pressure switch ever again! It also detects when the water has run out and turns the pump off. Underfloor 40L Fresh Water Tank. 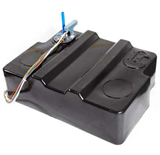 Ideal for easy installation by caravan and motorhome manufacturers. Maximises capacity while saving space with underfloor fitting. 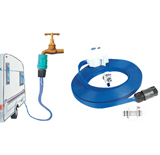 Watermaster Mains Water Hook-up - The Easy Way to Connect to Mains Water. 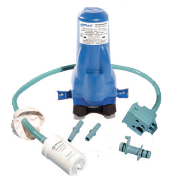 NEW Watermaster On Board Water Pump delivers a smooth, consistent flow and runs dry without damage.